Chinese children's Christmas Party on board HMS. 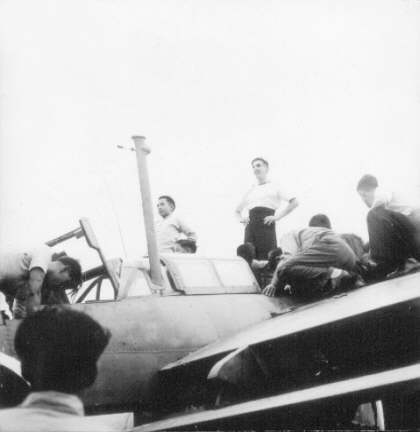 Vengeance in Hong Kong Harbour on the 24th December 1945. This aerial aircraft ride was rigged up by the crew. 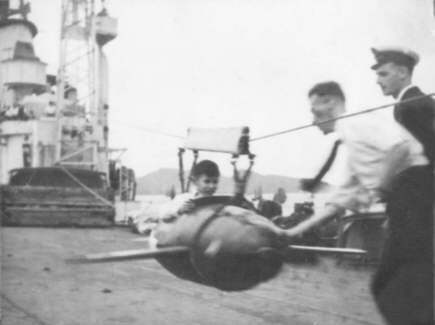 Chinese children's Christmas Party on board HMS. Vengeance in Hong Kong Harbour on the 24th December 1945. Gifts and toys were made and bought by the crew and distributed to the children. 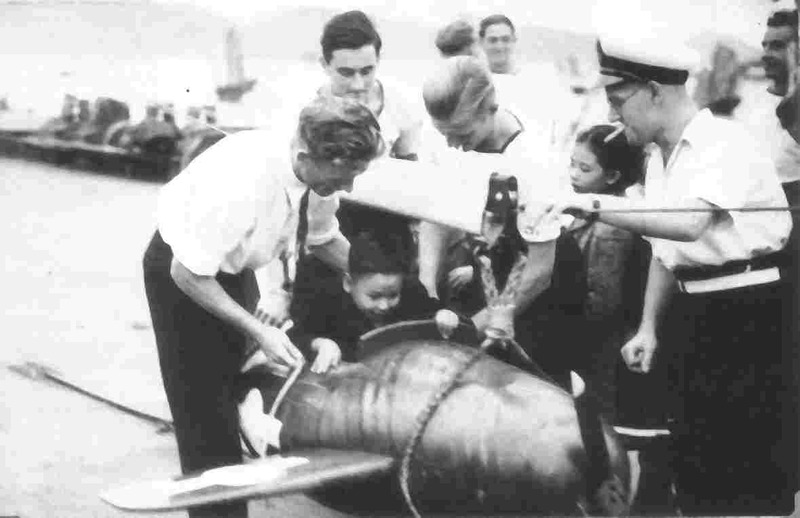 Chinese children inspect a Barracuda from 812 Squadron during the Christmas party aboard the ship. 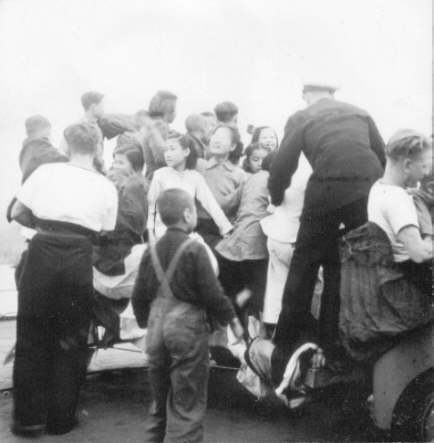 Chinese children inspect a Corsair from 1850 Squadron with the help of armourer Eric Rayner during the Christmas party aboard the ship. 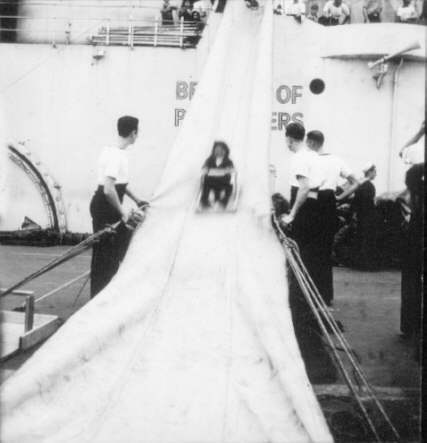 Aerial slide rigged up for the children from the island to the port side. Children queuing for the slide. Mess deck party aboard HMS. Vengeance on Christmas Day 1945. 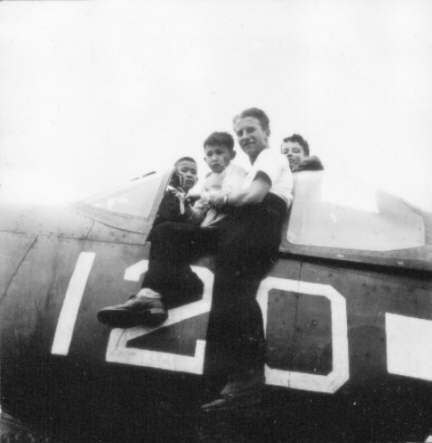 Seated 2nd (left to right) Electrician Les Harris (Air Repair - Fleet Air Arm Branch). Others unknown. S/L. F. English (right) with HMS. 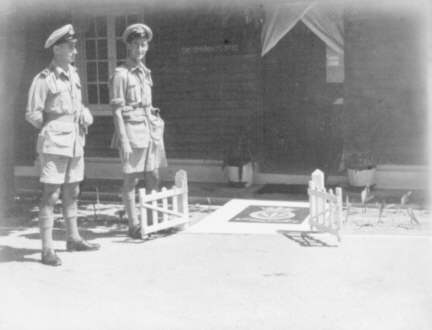 Vengeance crest at No.2 POW Camp (Sham Shu Po), Hong Kong 1945. 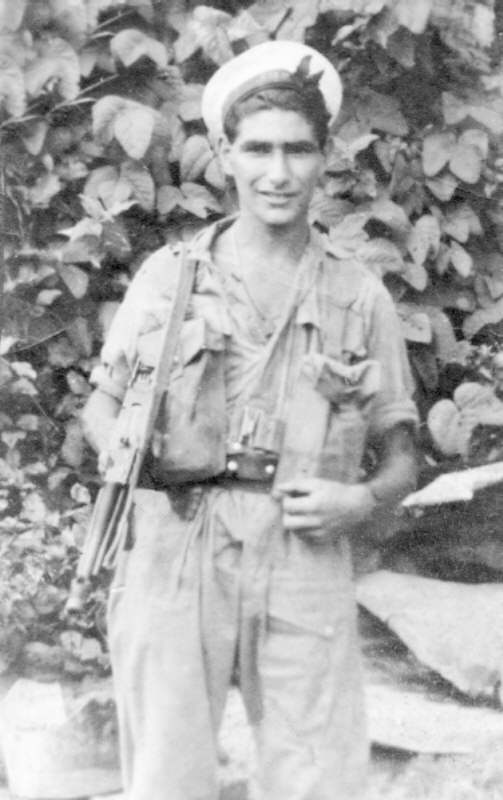 Able Seaman (Torpedoman) Leon Bloom in Hong Kong, 1945. 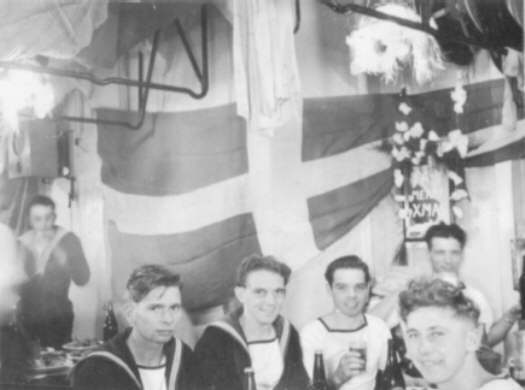 Leon served on HMS. Vengeance from December 1944 until March 1946.